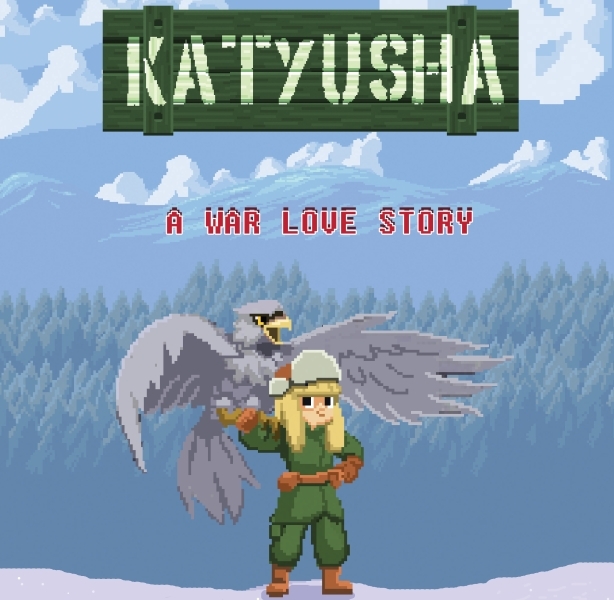 Katyusha is a 2D Platform/RPG based in the popular Russian song/character. – Freedom in gameplay: Play either full action or going stealth by hiding from your enemies. Stealth attacks allow you to hit with critical damage once the stealth bar overpasses 50%. – A.I. : Enemies have an improved A.I. Wild animals, which will occur only during the first level of the game, need you to stand still and hit them, while enemy soldiers require that you either time your shots or hit and run when using melee. – Historical facts: Meet real-life people from World War II and learn historical facts that occured in the Soviet Union. They will train you and they will show you how to survive in battle. – Checkpoints: Find real-life World War II letters from both Russian and German soldiers. Use them wisely in checkpoints in order to save your progress. – Levelling system: Katyusha levels up and spends attribute points in Strength, Dexterity, Vitality and Intelligence. Strength increases her melee attacks. Dexterity increases ranged attacks. Vitality increases the health bar and finally Intelligence gives boost to the eagle (mentioned below). – Emotional: Communicate with NPCs and live emotional moments, while also discovering easter eggs as well. – Eagle: Use your pet to attack enemies. It levels up as well, while at the same time it has a cooldown for every usage. – Crafting: You can use cotton, leather, iron and other materials that you encounter in order to craft armor and items that will assist you in battle. – Boss fights: Encounter bosses from World War II and face them into immersive battles (not available in early alpha). 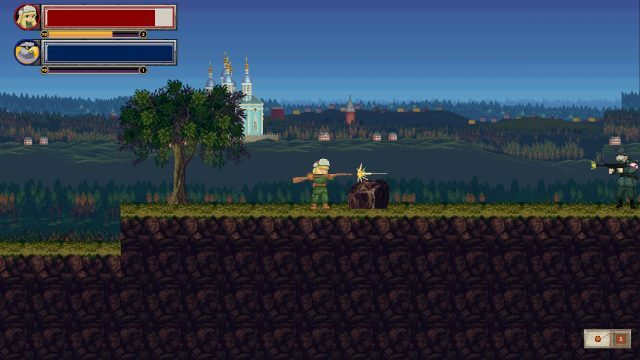 – Trading: Loot enemy corpses and trade the items in NPCs (not available in early alpha). In Loresoft we also announce that we will open our Forum in the next weeks once we receive the appropriate feedback to move on. We have a very ambitious project and we trully believe in it. If you like our free demo then we kindly ask you to support us. The donation page on the right of our website is available. We need to collect an amount of 5.000€ which will be used for Marketing funds for our Kickstarter campaign. As you may already know, the economical situation in Greece is unhealthy over the last years, with basic wages being almost like a 10% of our funding goal. This means that in order to continue developing Katyusha we need your support.